After begin framed for something vague and inconsequential by a cartel of men with moustaches and stenographers a young, apparently Mexican, moron known to all as Stediddy has been told in no uncertain terms that he must seek out gainful employment or face some serious, if a tad unfocused, wrath. And so you now join Stediddy as he approaches his interview, preparing to embark on a journey of Full Voice Acting, migs and megs of hand drawn graphics and multiple conclusions all in the hope that he will reach “The Good Ending”. This is the first part of an episodic adventure for young Stediddy. It is not a lengthy jaunt but it is, hopefully, an entertaining one filled with clocks and confusion, mute men and misdirection, railroads and randomness all with the promise of Hot Girls to come. "A treatise on the foibles of seeking employment, wrapped up in a madness sandwich. 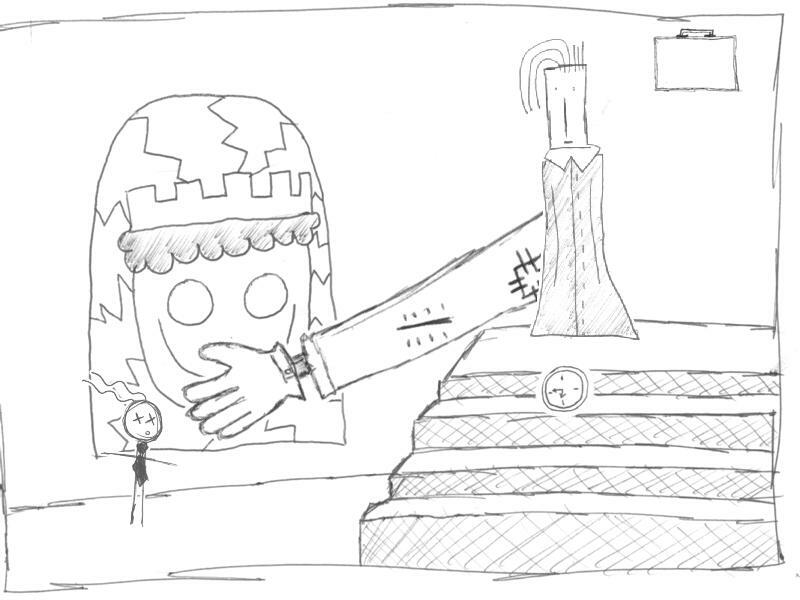 Scribbled in pencil, it contains little gameplay, but is funny while it lasts." However quite buggy for such a short game. this game is downright odd, but i appreciated that - it's a refreshing take on the genre. loved the voices, too. hope to see more!